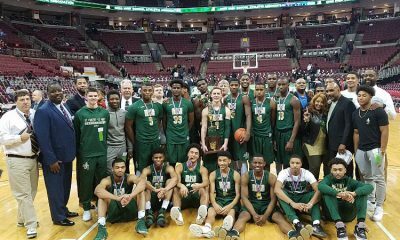 Northeast Ohio came away from Columbus with four state championships in all four divisions Saturday. Massillon Jackson, Akron St. Vincent-St. Mary, Villa Angela-St. Joseph, and Lutheran East all brought home hardware. It took phenomenal team efforts to get to that point and to finish the job, but a few players stood out with remarkable individual performances. We’d like to highlight those stars, who earned our NEO Sports Insiders Tournament MVP Awards for their outstanding play. Young played like a man possessed in the State Semifinal against St. Edward, scoring 25 points on 10-of-12 shooting. 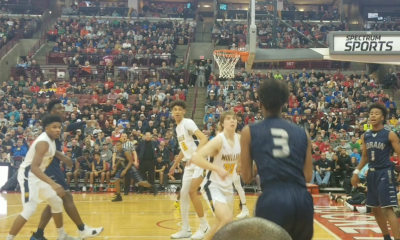 Archbishop Moeller gave Young everything he could handle, containing him to only four points for three quarters, seven minutes and 57 seconds. When his time came, Young drove to the hoop strong and drew contact with the score tied at 38. Fittingly, he drained the game-winning free throw. The 6-foot-6 Butler commit also grabbed 10 rebounds in the State Championship win, a game in which he played all 32 minutes. Graves has been one of the most consistent players in the state all year. His two games in the Final Four were no exception. 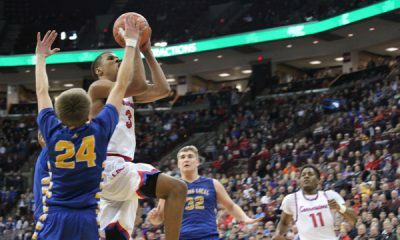 The 6-foot-3 Buffalo commit drained a cold-blooded buzzer beater over Trotwood-Madison in the semifinal, scoring 22 points and grabbing ten rebounds. He put up a game-high 25 points on Wauseon in the state championship, swiping seven steals and throwing down a couple breakaway dunks in the process. Business as usual for Division II’s Co-Player of the Year, who got the job done to close out his high school career. 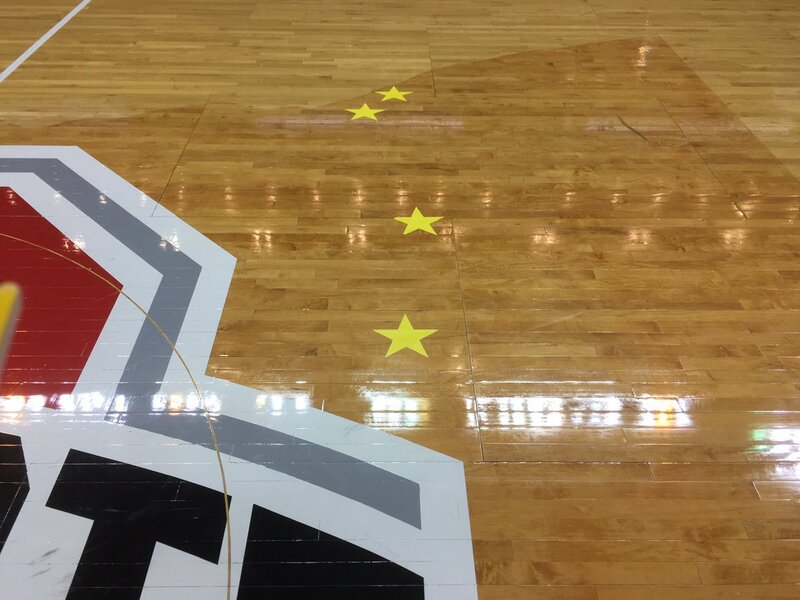 His 47 points in two games were the most of any player at the Schottenstein Center this weekend. Along with Graves, senior point guard Jon Williams played some of the best basketball of anyone in Columbus. It may not have reflected on the stat sheet, but he did dish out seven assists in the semifinal, scoring seven points in the fourth quarter and swiping what proved to be a game-changing steal. Williams also played some of the best defense of anyone in Columbus in the state championship. VASJ plays such well-balanced, team-oriented basketball, that our Division III MVP Award was a tough decision. The significance of seniors Will Butler, Danny McGarry and Noah Newlon could not be overstated. Butler scored 26 points in two games coming off the bench – making him our Sixth Man of the Tournament. McGarry makes so many heads up plays on the court. 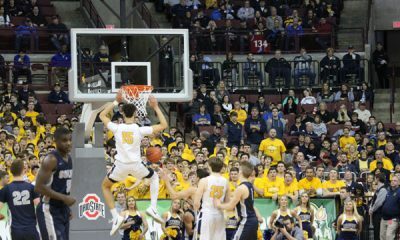 One that particularly stood out was his ability to draw a charge late in the fourth quarter of the State Championship against Roger Bacon. VASJ already had a six-point lead, but that charge sent a jolt of momentum into the Vikings and was deflating for Roger Bacon. Newlon hit two of the biggest shots of his career in the State Championship, a pair of pivotal three’s, which made a huge difference in what turned out to be a two-point game. As for Higgins and Gaffney, the two underclassmen were simply amazing in their two games. Higgins scored 17 in the semifinal on 7-of-12 shooting. He put up a game-high 16 in the State Championship. Gaffney, a 6-foot-8 sophomore, played well-beyond his years. He finished with 18 points and nine rebounds in the semifinal. Then, he posted a double-double with 12 points and 10 rebounds in the championship. The scary thing for opposing teams is that both of those guys are hoping to return to Columbus next year, which would make it six-straight trips for the Vikings. Right now, it’s tough to see anyone stopping them. Good luck to whoever stands in their way. There was nothing pretty about the way Lutheran East won. But that pretty much describes the team’s heart and hustle in a nutshell. The Falcons relished the opportunity to do the little things that many teams would not enjoy. Diving for loose balls. Pressing for three to four quarters at a time. Never letting up. It takes a machine of athletic and energetic guys to play that style, but the two engines for the team were Burge and Tate. Tate, the senior leader, played some of the best defense of anyone at the tournament. He also made huge plays on offense in both games, shooting 5-for-5 in the semifinal, and putting up six points with eight rebounds in the championship. It may not seem like a lot, but six points in that low-scoring State Championship ended up being a huge difference. Burge, a junior guard, was the best offensive player on the court in both Division IV games this weekend. His only real blemish, if you can even call it that, was that he fouled out with 3:19 to go in the State Championship. The Falcons held their ground with him on the bench for the remainder of the game – a testament to the team’s depth – but one thing’s for certain. Without Burge’s 16 points in the semifinal and 13 points in the State Championship, Lutheran East does not walk out of Columbus with that trophy. Congratulations to all the players and coaches who represented Northeast Ohio proudly and we wish all of the seniors nothing but the best going forward. As for the underclassmen, we won’t be surprised to see you in CBus next year. Same time, same place.